Rising up to build a better future. 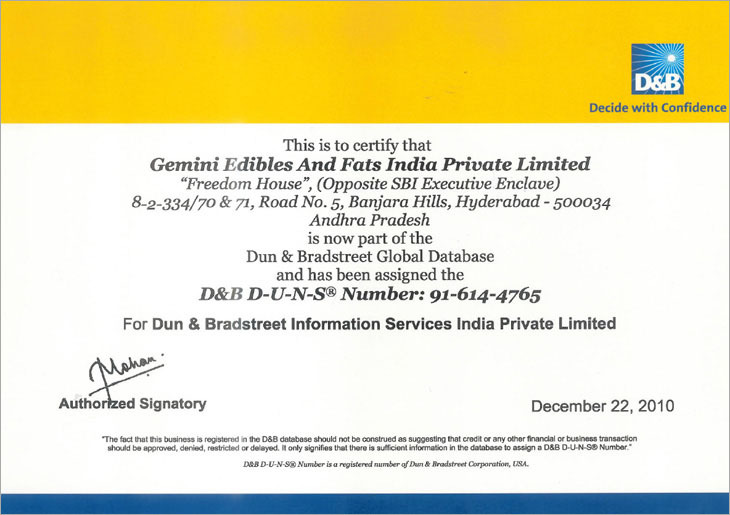 Gemini Edibles & Fats India Private Limited (GEF India), a Hyderabad based company is into the business of manufacturing and marketing of edible oils and fats. GEF India has two port based manufacturing facilities in Andhra Pradesh. The company is promoted and headed by Mr. Pradeep Chowdhry who has over three decades of experience and has worked with ICI, Britannia & ITC Agro Tech in leadership positions. The company is professionally managed with the core management team having an average experience of twenty years in the edible oil business. GEF India clocked a turnover of Rs. 3760 crores (USD 580 Million approx.) for the financial year 2016-17. GEF India is a subsidiary of Golden Agri Resources, a Singapore based company with a turnover in calendar year 2016 of USD 7.2 billion. Golden Agri Resources is one of the largest Palm Plantation companies in the world and has various downstream assets including edible oil refineries, oleo chemicals and biodiesel. Golden Agri Resources is a part of the Sinarmas Group, a conglomerate having various businesses like Pulp and Paper Products, Agribusiness and Food, Financial Services, Real Estate, Telecommunications, Energy and Infrastructure. Commitment & high professionalism runs in our DNA. 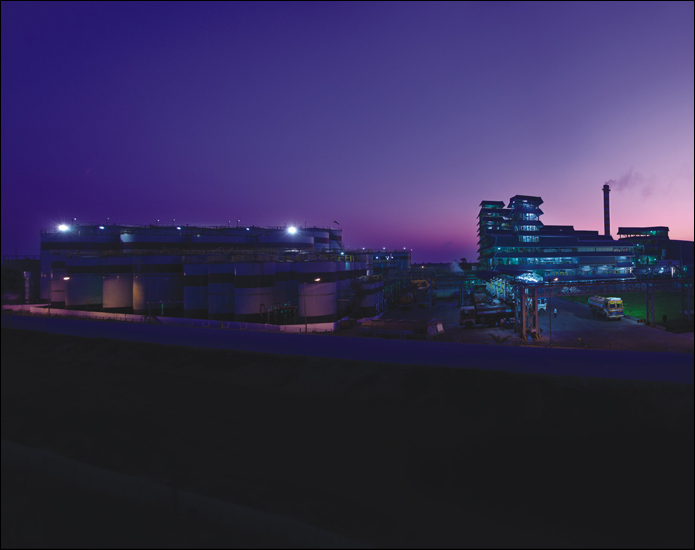 At GEF India, we believe that strong value systems are what shape our company and its future. By safeguarding these pillars we will always strive to be the best and encourage everyone who works with us - our people, our clients, our business partners to excel. We take complete ownership and meet our commitments to all internal and external stakeholders. We act and take decisions in a manner that these are fair, honest and follow the highest standards of professionalism. We believe that the onus of exceeding expectations of customers and consumers lie with us. Our challenge is to uphold our values in everything we do - they are there to guide us in the way we work, in the decisions we make and in the way we interact with people. Through these values, we shall build an even sharper results-oriented culture that is high on reliability. These values will be like a beacon, a guiding light leading us on the path to growth. By clearly stating these, we aim to reinforce what makes us successful. 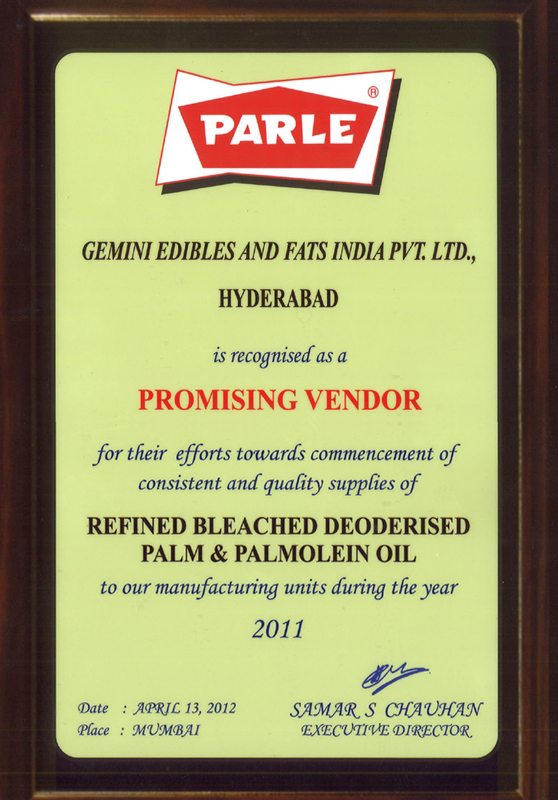 Gemini Edibles & Fats India Private Limited (GEF India), a Hyderabad based company is into the business of manufacturing, marketing of edible oils and fats. 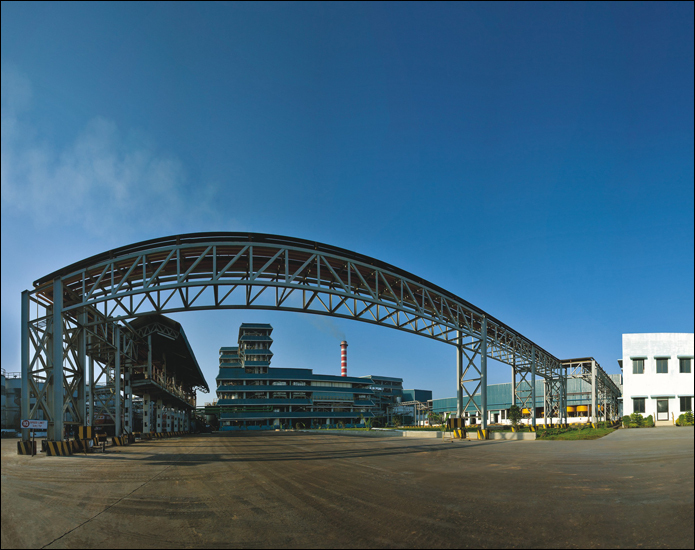 GEF India, has two port based Greenfield manufacturing facilities in Andhra Pradesh. GEF India is promoted and headed by Mr. Pradeep Chowdhry who has over three decades of experience and has worked with ICI, Britannia & ITC Agro Tech in leadership positions. The company is professionally managed with the core management team having an average experience of twenty years in the edible oil business. GEF India is a subsidiary of Golden Agri Resources, with a turnover of 6.51 Bn USD, a Singapore based conglomerate which is part of Sinarmas Group - having world’s No.2 Palm plantation fields and various businesses like Pulp and Paper Products, Agribusiness and Food, Financial Services, Developer and Real Estate, Telecommunications, and Energy and Infrastructure. Golden Agri Resources Company is set to clock turnover of Rs.3300 crores (50 Mn USD) for the current calendar year 2016. Our backbone that stands firm in achieving the goals. We believe that people are our biggest asset. Our ability to recruit and retain good people is the deciding factor between organizational success and failure. That's why GEF India is focused on respecting and nurturing individuals. GEF India has an experienced top management team from various functional areas of the edible oil business. Backing them up is a highly skilled team of experienced professionals. The biggest strength in our people is their commitment to the shared goal and their multi-tasking abilities. Our people are indeed 'master of all trades'. Our employees are in tune with the best operating practices in the industry. Our top-level executives constantly infuse the employees with creativity, motivation and innovation. The company organizes regular workshops to enhance the skill levels of our people. At GEF India, the teams come from various cultural and professional backgrounds yet we are one strong company, one strong team with a shared goal. Having a diverse workforce brings to our company a wide variety of perspectives and talents that strengthen our ability to serve customers and consumers better. Leaving our footprints by carving out a niche in the agro industry. The company has two ports with the latest Belgian technology (from Desmet Ballestra). 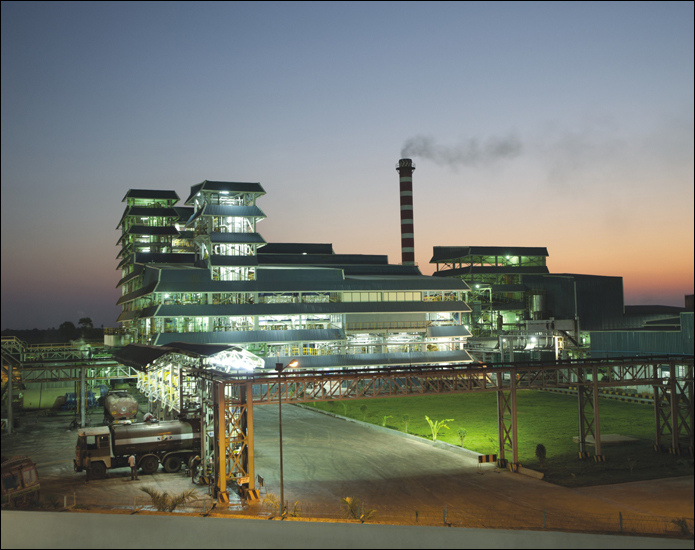 One at Krishnapatnam with a refining capacity of 900 MT per day and another at Kakinada with a refining capacity of 250 MT per day. Having two plants at these strategic locations gives us an edge over our competition. With Kakinada we can effectively cater to markets like Odisha, Chhattisgarh, North Coastal Andhra Pradesh and Telangana. Having another plant at Krishnapatnam gives to us easy access to lucrative markets like Tamil Nadu, Karnataka, Kerala and Southern Andhra Pradesh. 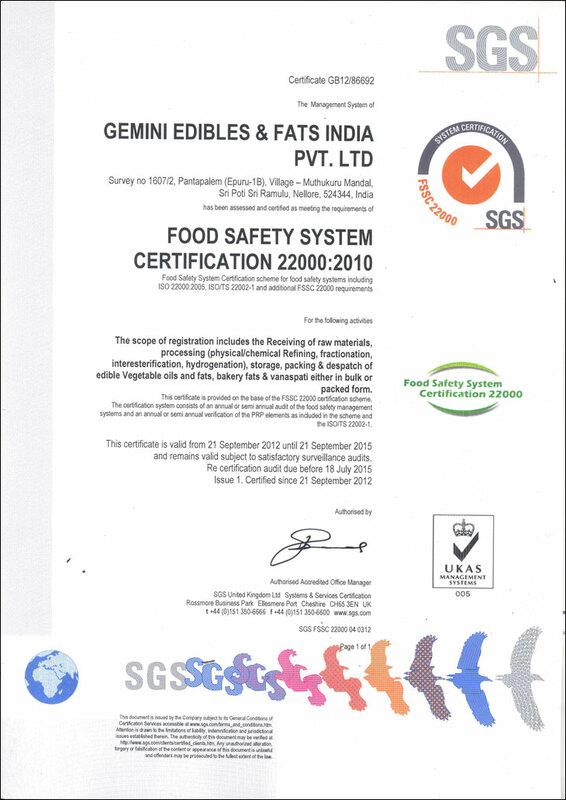 Our benchmark that earned us prestigious certifications. At GEF India, we take complete ownership and responsibility to meet our commitments and exceed expectations of customers, consumers and internal and external stakeholders. Our decisions are fair, honest and professional. We uphold our values as a guide in our work. 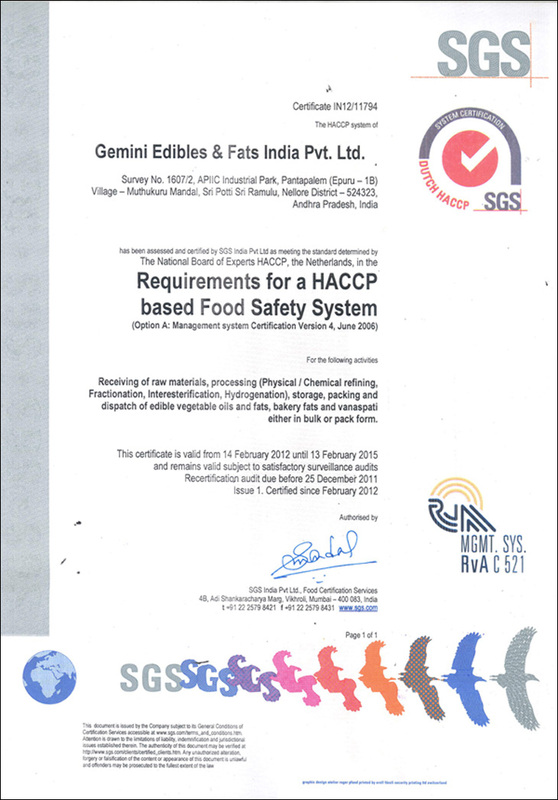 While both our plants have been awarded the FSSC 2200 certification, our plant at Krishnapatnam is also certified by HACCP, Halal and Kosher which is a testament to our commitment towards process and quality. 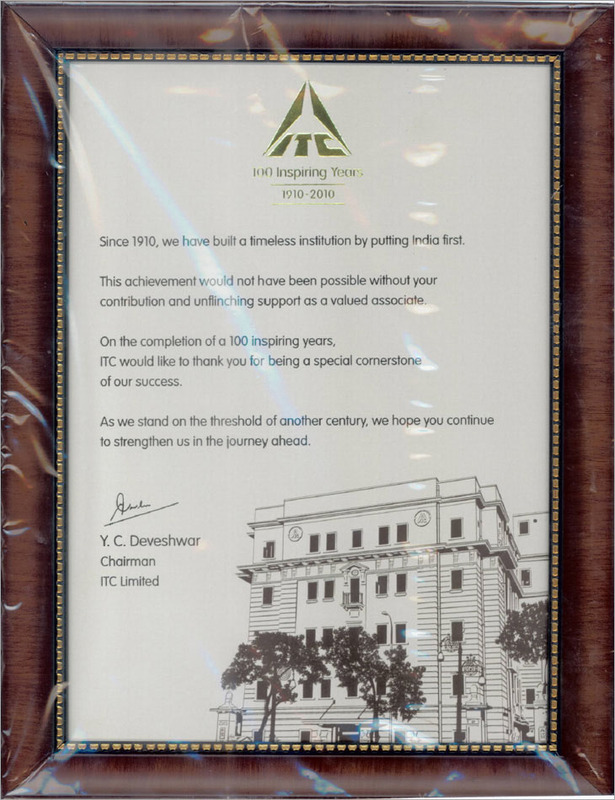 Our benchmark that won us prestigious awards. Extensive introspection to deliver nothing but superior quality. Our R&D capabilities help us stay ahead of competition. An experienced team of experts manage all the R&D initiatives. Our focus is on building extraordinary competence levels in technology, sustaining the ability to innovate products and enhance company's capability to meet the ever changing needs of the market. 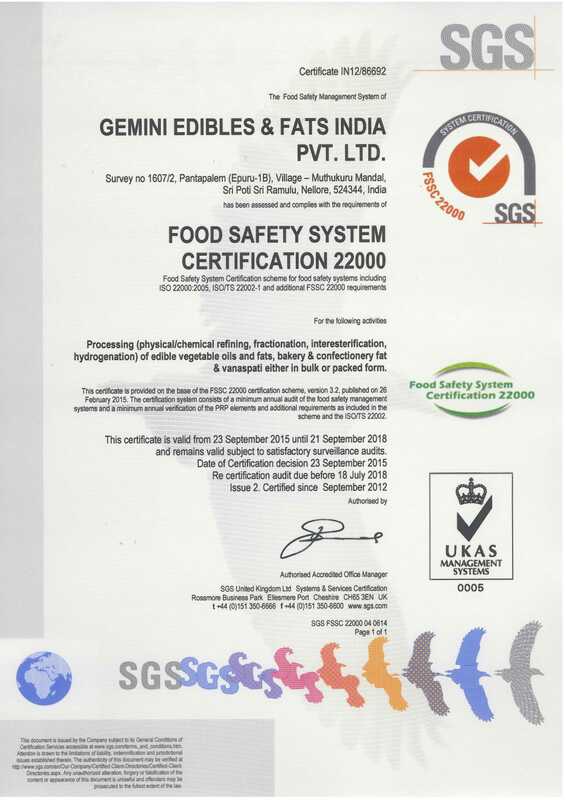 Our Krishnapatnam plant has been awarded the FSSC 2200 certification which is a testament to our commitment to process and quality.